Khenpo Rinchen aka Khenpo Triso Rinchen (Tib. མཁན་པོ་ཁྲི་སོ་རིན་ཆེན་, Wyl. mkhan po khri so rin chen) (1926-1985) — born in eastern Tibet, he studied at Dzongsar monastery, where, it is said, he would read night and day, even by the light of a butter lamp or a stick of incense. After fleeing into exile in India, he became the teacher of H.H. Sakya Trizin and served as the main Sakya khenpo at the Tibetan Institute in Sarnath, as well as head khenpo at the Sakya monastery in Puruwala. He also taught for three years at the shedra in Namdroling Monastery. 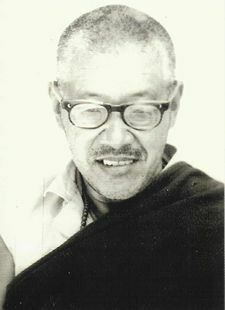 His students include Dzigar Kongtrul Rinpoche, Chökyi Nyima Rinpoche and Khenpo Namdrol. This page was last edited on 27 January 2018, at 19:10.